Power defined Jack Clark’s 18-year major league career. Whether he was smashing tape measure home runs or unleashing laser beam throws from right field, Clark flashed impressive tools that made his rookie league manager Art Mazmanian pull him from the pitcher’s mound shortly after the start of his professional career in 1973 with the San Francisco Giants. 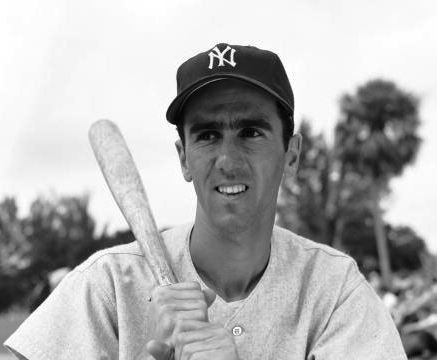 Mazmanian, a former infielder who reached the Triple-A level with the New York Yankees in the 1950s, used the keen eyes he developed from being a part of the talent-rich Yankees organization to change the fortunes of Clark’s career. He only needed to see Clark pitch a few games for his rookie league team in Great Falls, Montana to know that his future was in the outfield, not on the mound. Mazmanian had some inside intelligence on Clark’s exploits from an unlikely source, his daughter. She had seen Clark play in high school and urged her dad to come out and watch. Almost immediately, Clark reminded his manager of a Yankees legend that he watched during his formative years in professional baseball. He told Clark that his talents were reminiscent of Joe DiMaggio, but were missing a certain intangible that was inherent in the Yankee Clipper. Mazmanian’s decision wasn’t without controversy. George Genovese, the legendary scout who signed Clark vehemently disagreed with his manager's position change. Clark rewarded his manager’s decision with an extraordinary performance. The 17-year-old newly minted outfielder tore up a heavily collegiate pitching staff in the Pioneer League. Despite Mazmanian’s prediction that Clark would be an elite major league right-fielder, the Giants weren’t sold on that idea. For the next two minor league seasons, he played almost exclusively as a third baseman. His infield experiment ended after he committed a whopping 109 errors in 147 games. Clark clouted 340 home runs from 1975-1992 while making the All-Star team four times. A veteran minor league manager's instincts opened the door for one of the most feared bats in the National League. He never pitched again after Mazmanian pulled him from the mound, and ironically he played four games in the major leagues at third base and handled all of his chances without an error.